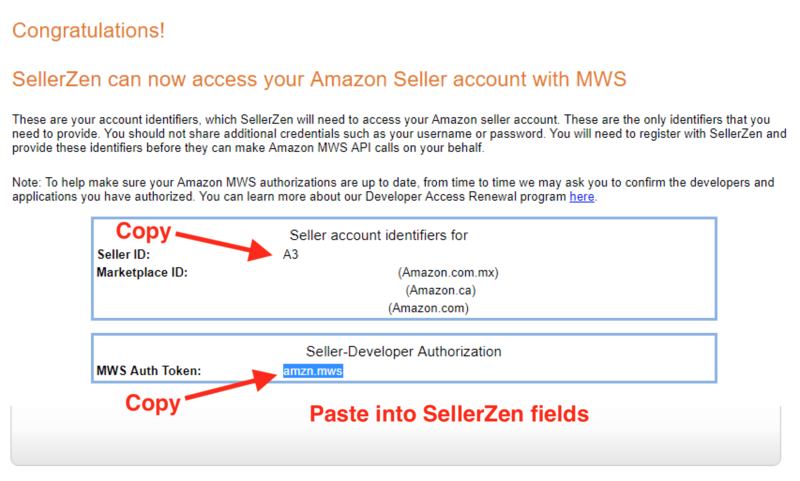 How do I authorize SellerZen as a developer on Amazon? You'll have to authorize SellerZen as a developer before we can begin syncing your data. To do this, simply go to Settings > User Permissions. Scroll down to Third party developer and apps and click on the "Visit Manage Your Apps" button. Click on Next. Verify that you want to allow developer access. Click on Next. The next screen will display your Seller ID and MWS Auth Token. You'll need both when you connect your Amazon marketplace to SellerZen. If you close this page, you can access the MWS Auth Token under Settings > User Permissions. Click on the "Visit Manage Your Apps" button under Third party developer and apps. Click on View to see your MWS Auth Token for SellerZen. This is also where you renew access for SellerZen. 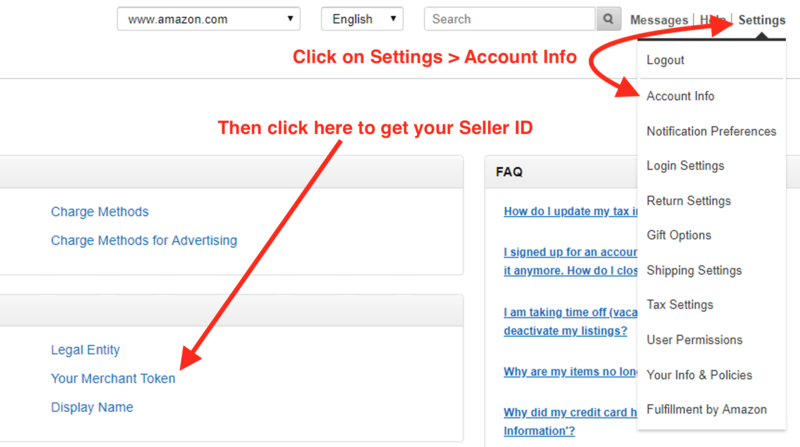 If you're re-adding SellerZen and you can't find your Seller ID, then click on Settings > Account Info > Your Merchant Token to get your Seller ID.